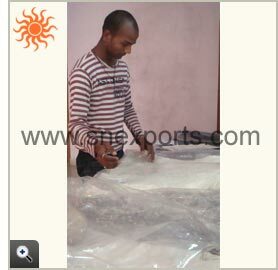 Each individual piece when completely done with finishing and final check is shifted to our packaging unit where it is carefully packed in a poly bag and covered with bubble wrapping sheet. Snexports manufacturer and exporter of costumes, armours, medieval weaponr, norman swords etc.... 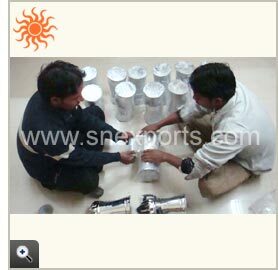 These packed pieces are then put into strong corrugated cardboard boxes or inner boxes of 5 ply carton. 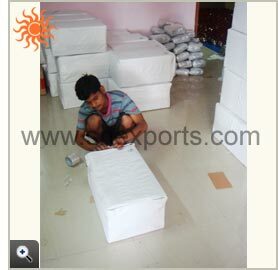 The sets are then packed in bigger cartons of 7 ply and sealed. 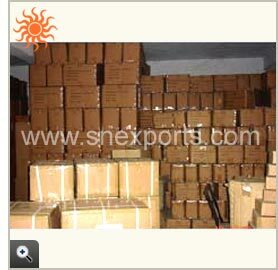 The best quality corrugated sheets are used in the making of big sized cartons that can withstand extreme pressures. 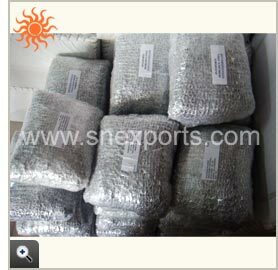 The boxes are also covered with fabric to deliver more durability to the boxes inside and to maintain safety during transit. 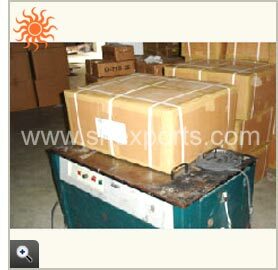 We make use of shrink wrap machine and strapping machine for proper packing of the products.